My main qualities: Purposefulness, punctuality, responsibility, humor and a positive attitude to life! Favorite Tradition: Visit on holidays Ramadan. 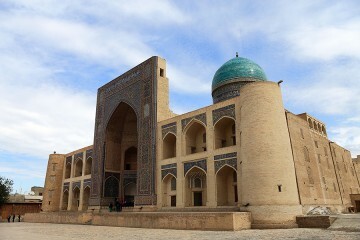 Bukhara (2 days) - Medieval and mystical Bukhara. 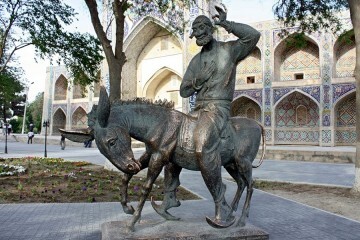 Bukhara - a tour of the city of the great sage Nasreddin(Sightseeing tour with a guide)City: BukharaDuration: 6-7 hoursPrice: from 40 $ * the price is valid from 1 to 4 peopleAn excursion to the historical center of Bukhara begins near the picturesque Lyabi-Hauz pond and for a few hours transfers you to the world of the medieval East. 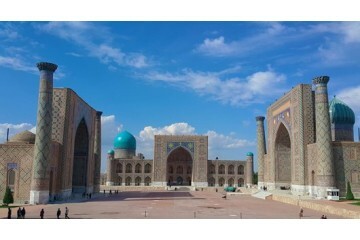 You will see the most famous mosques and madrassahs of the Holy City, visit the impregnable fortress of Ark and the 47-meter Kalyan minaret, like a lighthouse pointing the way to trade caravans and pilgrims going to Bukhara. Samarkand (2 days) - Magic Samarkand(Sightseeing tour with a guide)City: SamarkandDuration: 2 daysPrice: from 180 $ * the price is valid from 1 to 4 peopleTour program:(*The guide will meet you at your hotel, the time and place can be changed at tourist’s will. Transfer (2 days) is included in the tour price.